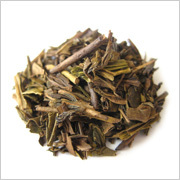 Houjicha is unique among all Japanese green teas. Late season tea leaves are picked, immediately steamed and dried. Then they are roasted, producing an amber-colored and highly flavorful tea. 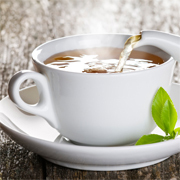 Houjicha's unforgettable aroma fills the room air. It is preferred by many Japanese restaurants and homes as the perfect compliment to food and for its low caffeine content.